When 9/11 hit, not a lot of people were investing their money anymore, uncertain of what the future held. That didn’t bode well for financial advisor Kelly Honn. At the time, the 64-year-old was taking care of an elderly neighbor when she was exposed to the health care world. Unhappy with the money industry, Kelly took a big risk and enrolled in nursing school, especially considering she had never even taken a Biology class. It’s safe to say the move worked out. 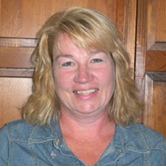 In only seven years, Kelly has moved up the ranks to her current position of DON at the BrightStar Care in Wheaton, Ill.
Kelly found out about BrightStar online when searching for nursing jobs. She wanted the element of daily relationship building in the home. She enjoys meeting a client’s entire family and watching them develop through certain stages. Kelly said the most challenging part is the hours, as they’re on call 24/7 and “never let a call from a client go to voicemail.” However, the team always has each other’s backs. Actually physically being there with the clients puts the biggest smile on Kelly’s face.